Serving others is often messy business. Think of those for whom service defines their livelihood: nurses, hotel housekeepers, childcare providers, police and firefighters, trash collectors, nursing home aides, cooks and wait staff, and bus drivers, to name a few. One can serve others simply as a job, detached from emotional entanglements and jaded by the numbing repetition of the task, but there is another way to serve. Just ask Jesus. For our Lord serving and loving were intimately entwined and interconnected. To serve is to love, and to love is to serve–even when serving and loving lead to death, even death on a cross. When we, as followers of Christ, set out to serve one another and all whom we encounter in this beautiful yet broken world, we are going to get dirty. I can guarantee you that much. Our hands will be soiled, our hearts will be stained, and our dreams will be sullied. Sure, there will be some amazing high points and feel-good moments, but the day-in, day-out life in the trenches is less than pristine. Following in Jesus’ footsteps is not an easy path to choose to walk. If, however, you recognize the amazing gift of divine love and unmerited grace that you’ve been given through Jesus’ way of serving and loving, you cannot help but choose to walk in his way. Oh, and if you think serving gets messy, then rest assured that love is all the more so. Loving others is both amazingly simple and achingly hard. Just ask the young man who came to ask Jesus what he needed to do, having kept all the commandments and done all (well almost) all the right things. Ask the disciples who couldn’t even stay awake in the garden of Gethsemane. And ask Peter, who denied Jesus three times after proclaiming he would never do such a thing. Love is risky. Love is frustrating. Love is, well, nothing short of sacrificial, insisting that we choose the needs and good of others over our own desires and needs. It is tempting, if using the longer gospel reading, to let that length dictate a brief homily. To do so, however, does the lesson a disservice. It may be the only treatment from the upper room to the cross that many in the parish will experience. Make sure the reading itself is done well and with expression. 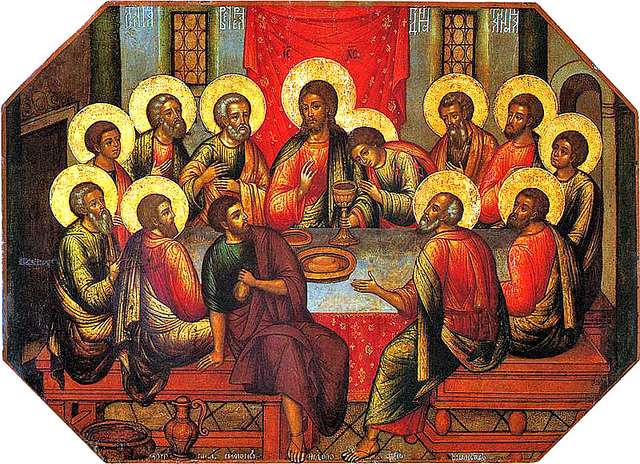 Invite congregants to imagine themselves as observers on the scene, following the action from place to place, and seeing how Jesus serves and loves by feeding his disciples a life-giving meal, by confronting without flinching or violence the forces of evil and the empire, and by meeting criminals with compassion and promise. This is service. This is love. This story is for us and for all of creation because God loves and comes to save–not destroy. Invite readers to ponder Luke’s gospel account of the passion throughout Holy Week as they go about the regular (and perhaps irregular) rhythms of their lives. Invite them to consider Christ’s model of serving and loving. Challenge them to roll up their sleeves and open their hearts to be vulnerable as they meet others at places of great need, deep pain, and walled self-protection. Encourage them to walk the walk, to stay the course, to stay awake and to walk the way of great love, the way of the cross, with Jesus. Remind them that it’s less about righteousness and getting it right and more about the journey–one obedient step, one humble act of service, one moment of sacrificial love at a time. This is the only way we get to Easter and the empty tomb. Assign parts for the reading of the gospel. If you have time practice the reading before worship. Consider putting the readers in four to six chairs or on stools before the congregation. Weave your sermon throughout the gospel, employing “stop motion” with the readers at critical points to weave your message about messy service and sacrificial love. Leader: Go from this place to walk the messy way of service and to take small steps of sacrificial love in the name of Christ. People: We will serve and we will love, following the way of Jesus. Leader: Go, not in peace, but in discomfort, seeing the broken places, the wounded beloved ones, and the great needs of creation. See as Jesus saw. Leader: Go, confessing Jesus Christ as Lord. Empty yourselves in service and in love. All: We go in the name of Christ. Amen. Is this equation correct? Does it balance? Does it add up? Consider how God’s amazing grace multiplied by Jesus’ example of service and love and practiced however imperfectly by us does indeed equal life abundant. Math was always tough for me. I could often get the right answers in geometry, but my steps to get there didn’t make sense. I couldn’t make heads or tails of advanced algebra. But I get God’s wacky math. It doesn’t really add up or balance, but it makes radical sense in its solution of never-failing abundance. Does it always mean that life is a cake walk? By no means! 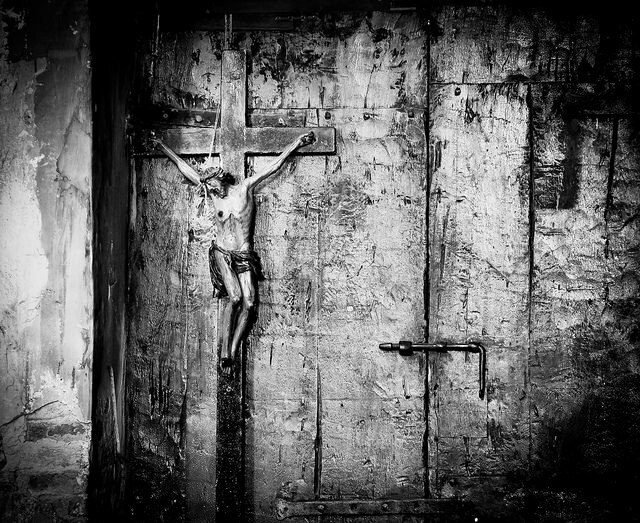 Life can be tough and dirty and downright depressing as we experience in the story of Jesus’ passion. Yet, Jesus service and amazing love give us a model to follow with our baby disciple steps toward a life of joy and hope, toward the inbreaking of the reign of God right now. Best of all? You don’t have to be a math whiz to “get it” because the solution is grace–a gift that is costly but free, unmerited but poured out lavishly. How cool is that? What signs of this solution do you see? How can you contribute to the reign of God right here and now? What stands in your way? It’s true. Sports fans love it when their team is on a winning streak. Invite the older children or some of the congregants to name the worst sports teams in history. (If you need some help, check out this list.) It’s tough to remain faithful to a losing team; only the most dedicated fans do. When Jesus came into Jerusalem riding on a donkey, the people were anticipating a winner. They assumed Jesus had come to make everything all right, to defeat Rome and Herod and restore the people’s good fortune and luck. They were about to experience what appeared to be a real losing streak with Jesus seemingly defeated on the cross, with everyone deserting him in despair. But talk about a come back! We know the rest of the story, and we’ll hear it again next week at Easter. But first, this week, we experience a not so good season in the life of our Lord and our faith story. We must face defeat first in order to ultimately win BIG through Jesus’ amazing love for us. Help us to stand together when things get tough. Even when it’s very, very dark. Thank you for losing everything so that we can live. Thank you for loving us forever. I live north of Toronto, Ontario, Canada where the worst team in the NHL resides, The Toronto Maple Leafs. They have not won a Stanley Cup since 1967. They tease us and do well for a few games, our hopes are up and then they fall apart. The fans are the most dedicated and loyal … or just crazy! As spring approaches, the signs go from GO LEAFS GO to GOLF LEAFS GOLF! Hope does spring eternal though! As much as I really like your idea for the time with children, I fear for my own safety amid my congregants who are dedicated Leafs fans! thank you for your words, they were right on what I was thinking about focusing on for the sermon this week – I am filling in for a minister who recently passed away, and his congregation is grieving. Thank you again and have a blessed Holy Week!